There was a time when having a Jaguar meant you were some stuffy snobby rich person, who wasn’t really all that smart. Of course, Jags weren’t all that reliable back in the day; it seemed they spent more time on the side of the road, or in the shop, then they did actually on the road somewhere. There’s actually a shop in my town called the Jaguar Doctor, run by a very capable mechanic. This very capable mechanic makes a quite nice living performing life saving triage, and cures on old Jaguars. 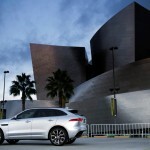 Today, Jaguar has become a much better brand. The cars are better built, much more reliable, and much more accessible to the common man. In the past two years I was reintroduced to the Jaguar. Smart marketers, those folks from the Home Country. They gave me a week behind the wheel of an F-Type R, twice. At the end of each week, I had an afterglow, and just wanted to smoke a cigarette and cuddle. Seriously. My second Jag came just a few months ago. A week with the XE sedan, a diesel at that, showed me just how good Jaguar’s are today. It was nice, roomy, comfortable to drive and very well behaved. Now just imagine if an XE and an F-Type had a one night stand, and out of that “coupling” they conceived a baby. What you would probably end up with is the F-Pace. 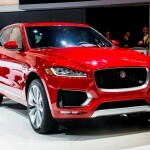 The love child of the XE and F-Type has the body of a crossover SUV, but the soul of an F-Type. It’s adorable, precocious, and like most children has a naughty side. 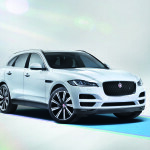 The new for 2017 F-Pace is Jaguars’ late edition to the luxury SUV market dominated by Porsche, Audi, BMW and yes, even Cadillac. 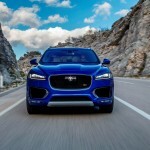 There are five trim levels for the F-Pace: base, Premium, Prestige, R-Sport and S. All but the S are available with a choice of engine (designated 20d or 35t), and a top of the line fully loaded First Edition, a model limited to 275 units in the US. Standard on the base model is all-wheel drive with 18-inch shoes, full power accessories, power liftgate, dual-zone automatic climate control, rear privacy glass, LED running lights, eight-way power front seats, keyless entry/ignition, panoramic sunroof and automatic wipers. 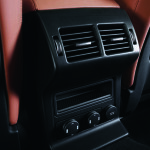 Electronics wise an 8-inch touchscreen controls the InControl Touch and InControl Protect emergency communication as well as the 11-speaker Meridian sound system. There is also Bluetooth phone and audio. 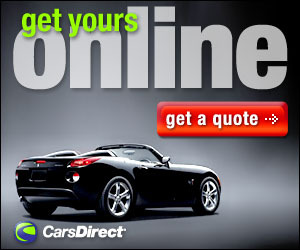 You can option a satellite radio and a rearview camera. The Premium has 18-inch wheels, with the rearview camera standard. There are also driver memory functions, and power folding mirrors. Option package include the Cold package (which you can add to the base model as well) that adds heated front and rear seats, a heated windshield and a heated steering wheel. For the Premium level, there is the Vision package that adds auto leveling bi-xenon headlamps with washer, a blind spot monitoring system and front and rear parking sensors. On the Prestige level, the front and rear parking sensors are standard. The Cold package is also standard as is upgraded leather upholstery, voice controls, smartphone apps, a power adjustable steering wheel, and a folding rear armrest. The R-Sport has special styling elements, 20-inch wheels, many of the items available as options on the Prestige, and adds foglamps, lane keeping assist, an automatic emergency braking system, automatic high beams, better bolstered front seats and a simulated leather-trimmed instrument panel. 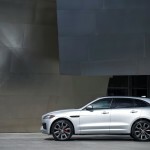 The biggest difference with the R-Sport and F-Pace S is the with 40 extra horsepower, and an adaptive suspension that is optional on the Prestige and R-Sport. There are also a few styling tweaks. The upper three models, Prestige, R-Sport and S can have the optional Comfort and Convenience package with ventilated front seats, power-reclining rear seats, a remote release for the folding rear seats and a gesture-activated power liftgate. 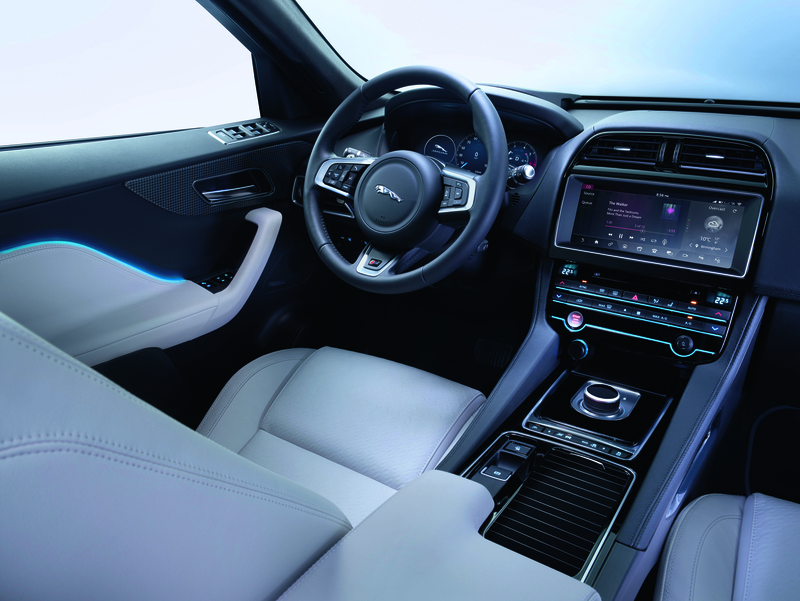 The Technology package gives a full LCD screen instrument cluster, onboard 3G WiFi, a 17-speaker Meridian surround-sound system The touchscreen is 10-inch and uses an upgraded InControl Pro with configurable menus. Roof rails, a heads-up display, and something called an “Activity Key” waterproof bracelet that allows the vehicle to be unlocked with the key still inside. The R-Sport and S can also option in the Luxury Interior Upgrade package with four-zone automatic climate control, upgraded carpets and headliner, 10-color interior ambient lighting and a cooled glove compartment. There is also the Driver Assistance package with adaptive cruise control, forward collision warning, three additional parking cameras and an automatic parking system (parallel, perpendicular and exit). They can also add 22-inch wheels. The First Edition includes every option possible plus special paint selections, houndstooth interior trim and upgraded leather upholstery with a special houndstooth embossment. 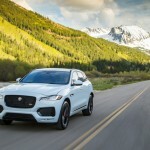 The available engines include a 2.0 diesel (180hp, 430 ft-lbs torque), a 2.0 liter turbocharged 4-cylinder (240 hp, 340 ft-lbs torque), a 3.0 diesel (300hp, 700 ft-lbs torque), and two 3.0 supercharged powerplants: one with 340 hp and 450 ft-lbs torque and the top of the line 3.0 with 380 horses and 450 ft-lbs torque. All engines are mounted to an eight-speed automatic. My tester for the week was the F-Pace S with the Comfort and Convenience package, along with the Black Design package that features exterior black accents. There is no doubt from the first glance on the outside that this is a Jaguar. 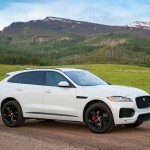 While it is a crossover SUV, the look is long and lean, and the distinctive front end and red break calipers give a hint at what it is capable of. Despite that lean look, the interior is surprisingly roomy, and as I have found with other Jags, very well laid out. 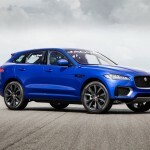 The wheelbase and track are not shared with any other Jaguar, but the Configurable Dynamics used to fine-tune the throttle, automatic transmission, steering and electronically controlled Adaptive Dynamics system is directly from the F-Type. And on the road that’s exactly how the F-Pace acts; just like its smaller cousin, the F-Pace is nothing short of a beast on the road. That’s somewhat frightening. To have an SUV act like a two seat F-Type is pleasantly terrifying. 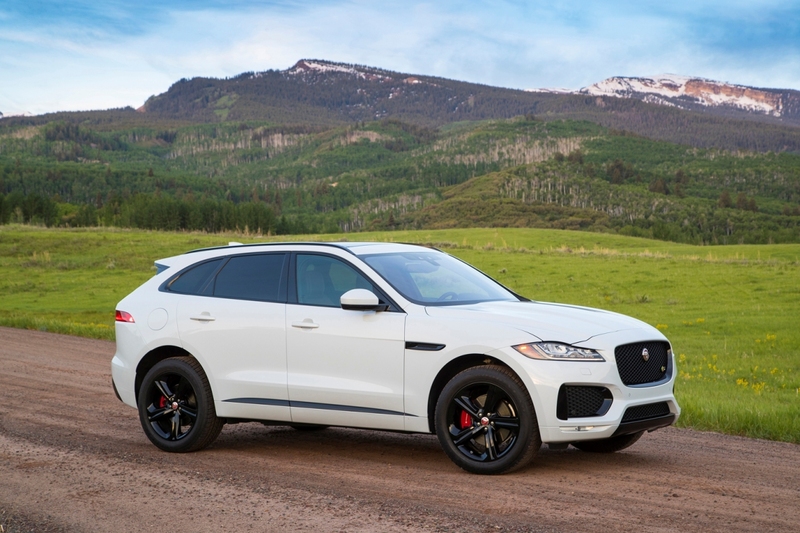 The growl from the 380 horsepower supercharged V6 is as discernible as the F-Type, and I was able to switch to “Dynamic” mode and get a 0-60 time in 5.1 seconds… in an SUV. There are of course no twisting mountain roads in Florida. 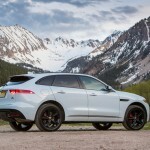 On a somewhat curvy open stretch of road though the F-Pace showed that under high speed aggressive cornering it can stick to the road and had the confidence that this driver didn’t. Meaning that aggressively driving an SUV that acts like a sports car is an eye opening, come to Jesus experience. It’s an experience similar to the Porsche Cayenne Turbo S I had two years ago. The difference is that the Porsche had an MSRP of $168,225; the F-Pace I had which is near the top of the line has an MSRP of $65,745. 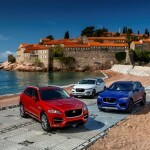 The base MSRP of the F-Pace slots it below the Porsche, and above its main competitors ; the BMW X3, Mercedes AMG GLC43, and Audi SQ5. And that’s what helps make it so good. To have the same type of performance for less than half the cost, makes the F-Pace nothing short of brilliant. 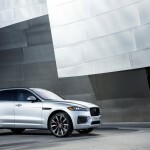 The F-Pace is the car the husband/dad wants when they want a sports car, but can’t because they need to get the everyday things done. It’ll carry kids, groceries, and all the other needs of a suburban family, and give a thrilling driving experience while doing so. It was a pleasantly surprising experience that left me wanting more, much more. 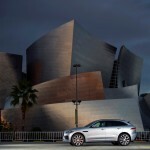 It continues my love affair with all things Jaguar. With their improved appeal, hopefully we will see more and more Jaguars on the road. Combined with their growing improvement in reliability, there could come a day when the old image of snobby rich driver could soon be gone. And the Jaguar Doctor may have to look for another specialty. Front Head Room: 37.8 In. Rust: 5 Yr./ 60000 Mi.